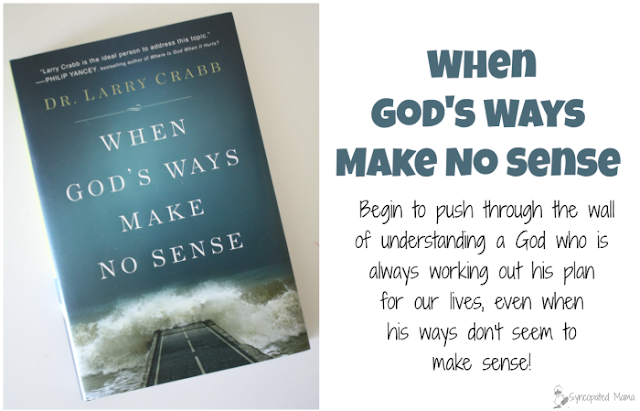 Begin to push through the wall of understanding a God who is always working out his plan for our lives, even when his ways don't seem to make sense! I honestly expected this book to be in line with titles like When Bad Things Happen to Good People or Where Is God When It Hurts?, but I quickly realized from the first few chapters that Dr. Crabb had not set out to write that type of book. I felt disappointed at this realization, because although I've managed to "get on with life" after some of my "bad things" that have happened, I continue to struggle with trying to understand it all and never cease asking God "why?" I'd made up my mind to just get through the book quickly so I could write up my review and, sigh, maybe I'd come across another title some day soon that would help me out with my issues. 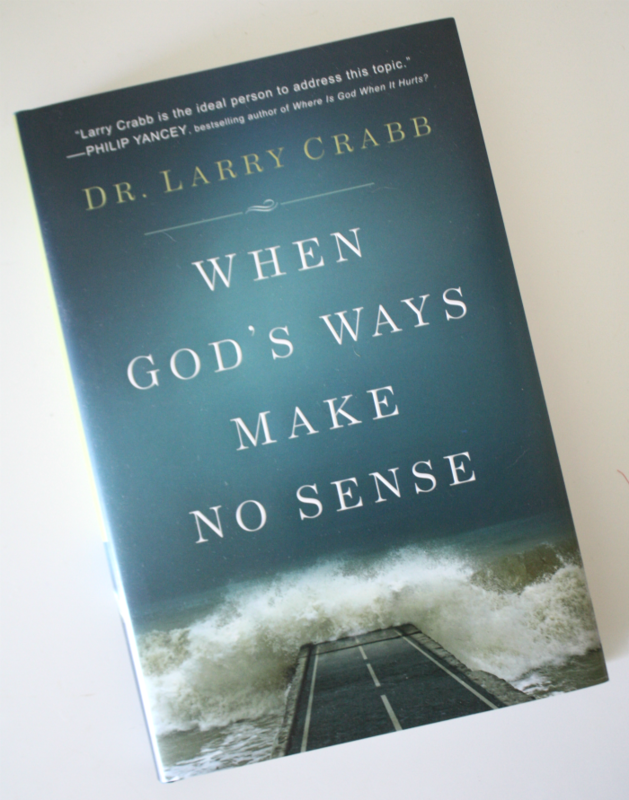 But somewhere in the middle of Part Two, after I'd ranted to G about my frustrations with the thing, I understood that while Dr. Crabb had not written the book I'd wanted to read, he'd written the book I needed to read. No, this is not an easy book to get through -- oh, the language is accessible enough -- it's not like reading through James Joyce or something, but this book will leave you with a headache. At least, it left me with a headache. One of those headaches where you don't experience physical pain, but the mental pain of trying to wrap your mind around the big concepts of God and the universe has you wishing you could just pop an aspirin, take a nap on the couch, and wake up feeling all better. But unfortunately, reading this book has me feeling like I've come up against a wall. And if I could just punch through this wall, then perhaps I could take a step forward into a room of not only relief, but better understanding of what our God is truly like. And I know I need to tackle reading through the thing again, this time with markers and pencils and notebooks in hand, my tools to begin ripping off a few chunks of that drywall that will lead to (hopeful) clarity. If you're interested in exploring God's often mysterious and counterintuitive ways -- without being told the answers, but by being provided with plenty of opportunities for growth and maturity through thought-provoking text, then I highly suggest checking out this book for yourself. Not only will you see how three biblical characters dealt with adversity, but you'll read stories of others that will help lead you to a life of resting in the goodness of a God who is always working out his plan for our lives. Just make sure to have some aspirin ready before you crack the thing open! Have you experienced moments in your life when God's ways seem to make no sense? I'd love to hear! Either leave a comment below or email me at lisahealy (at) outlook (dot) com.